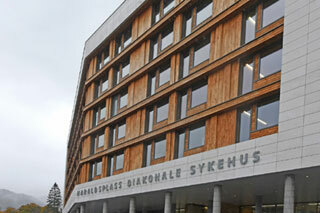 GRC chosen as façade material project because of its great resistance to the harsh climate in Norway. 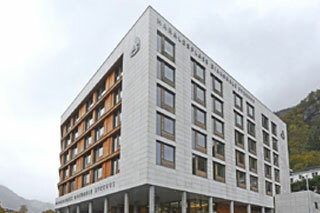 GRC, from GRCA Full Member BB fiberbeton A/S, was chosen as façade material because of its aesthetic qualities, long durability and great resistance to the harsh climate in Bergen, Norway. In order to make installation time fast and the mounting as easy as possible, the FA1000®-system by BB fiberbeton was chosen. The FA1000®-system allows installation from the outside and still having hidden mounting. Also the FA1000®-system allows for all of the details around windows, corners, sills, etc., that makes GRC a fantastic façade material. 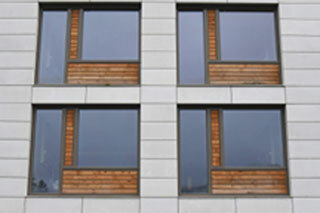 Color of the glassfibre reinforced concrete (GRC / GFRC) was chosen as a light grey.